It’s been a few years since the international super group Brother Firetribe released their last album but now they’re back with a brand new chapter for their story. We all know the main reason (or person I should say) for the band’s growing popularity but by now I think we can all agree that their music now speaks for it’s self. Now I’m going to be honest as always and say I am a big fan of Brother Firetribe but that not does not mean I’m going to be bios, as a matter of fact as much as I enjoyed the first two albums I only really enjoyed half the songs on them. But they were more than enough to make me become a fan and sometimes listening to those songs on the way to work during a sun rise gives me hope for the future, will we get the same feelings with this album… let’s find out. Upon my first listen I hear a bit of a weird intro that sounds more like a sound test than anything but when it gets into the actual album itself it’s everything that the band is known for only it’s been completely revamped with new life. While a fair few of the songs are still a bit stream lined it still has the nice mixture of fast paste anthems and movie soundtrack ballads. Everything people like about this band and genre is here. The songs I enjoyed the most and recommend are: ummm it’s quite hard to tell as a lot of them get better with each listen so I can’t really decide at the moment. The things I like about the album as I already said are the classic but revamped sound and the nice mixture of fast paste songs and nice ballads. The things I don’t like about the album as I already said is that it is a little bit streamlined in a few places and while it still sounds good the first time you here it, I still recommend to listen to it more times to really get into it. 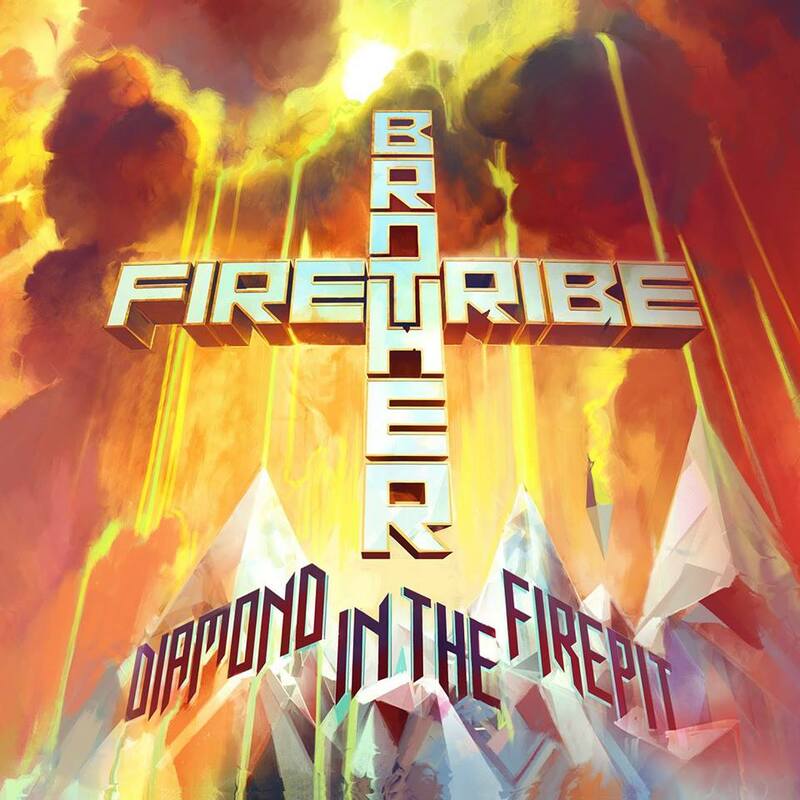 So seeing as I have heard all three albums by Brother Firetribe is this the best one yet? Honestly it’s really hard to say, for me personally it ties at number one very tightly with ‘Heart Full Of Fire’. As the comedian Harry Hill would say “well I like ‘Heart Full Of Fire’ but I like ‘Diamond In The Firepit’ but which is better, there’s only one way to find out… FIIIGHT!” My final verdict is a 4.25/5 be sure to attend their show at the last ever fire fest in Nottingham England this year.